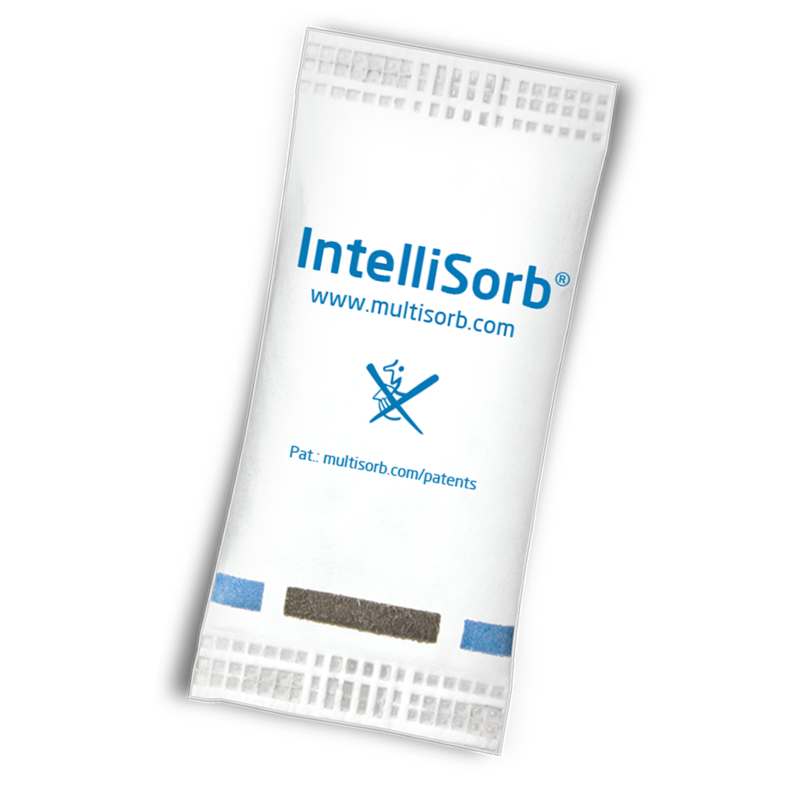 When a conventional desiccant won’t do, trust IntelliSorb moisture regulating sorbents to balance the physical and chemical and stability of your products. These highly customizable, intelligent sorbents play an active role in environmental management within your device or drug packaging. 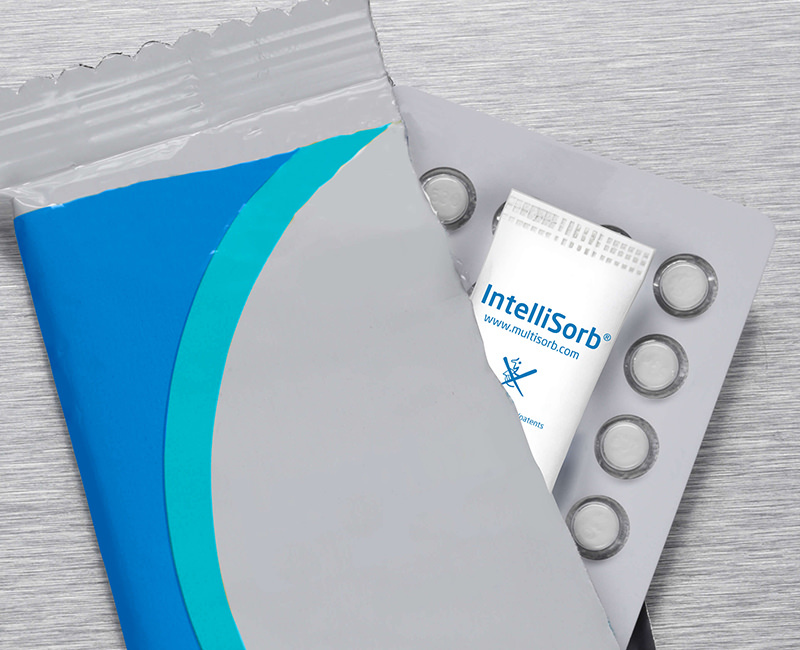 IntelliSorb moisture absorbing packets can be formulated and sized appropriately to regulate equilibrium relative humidity (ERH) to a specific range within packaging headspace, as well as the water activity (aw) of your drug product. These packets can manage moisture to a specific ERH target (+/- 5%) within the range of 10% - 95% ERH. High quality, virtually indestructible solutions are available in an array of options. Select the format and size that fits your specific application. 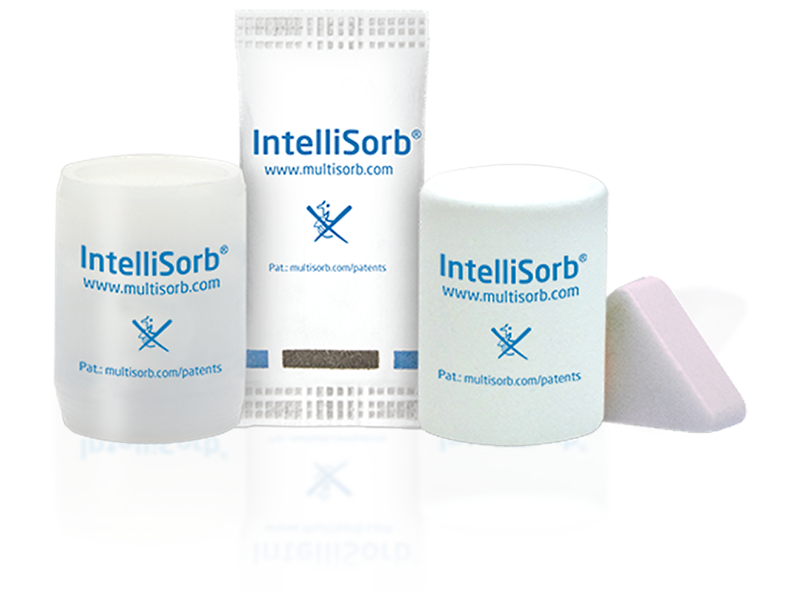 IntelliSorb products can also can be combined with activated carbon for adsorption of volatiles. These non-dusting, fibrous-free moisture regulators use FDA approved (21 CFR-compliant) materials suitable for direct pharmaceutical contact. We maintain a Type III Drug Master File (DMF) for all IntelliSorb platforms. These smart desiccant products actively counteract common moisture control problems, such as gelatin capsule cracking and brittleness, cracking of gel and aqueous-based tablet coatings, unstable drug and diagnostic chemistries, and physical instability and static of DPI formulations and devices.